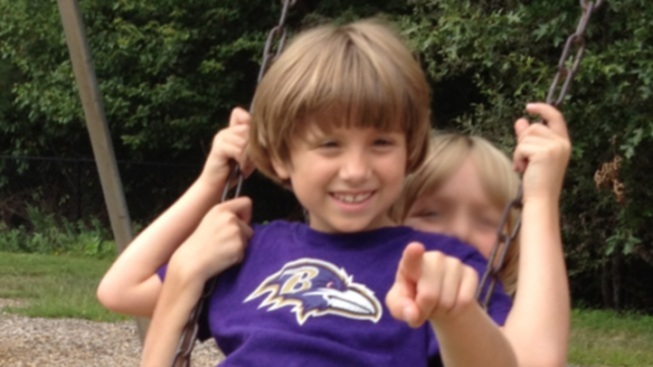 Joey Gay was killed in the shooting at Sandy Hook Elementary School in Newtown. On Friday, December 14, 2012, our beautiful daughter, Josephine Grace Gay, was killed in an unimaginable tragedy at her elementary school in Newtown, Connecticut. Joey, many of her friends, teachers, and school staff members were taken from our loving community. Joey turned 7 three days prior to this tragedy and was looking forward to celebrating at her birthday party with many of these friends the next day. Although our family is devastated, we are deeply comforted in the knowledge that she is no longer scared or hurting and rests in the arms of our Savior, Jesus Christ. It is through His sufficient grace that we are able to get through this. Our innocent, trusting little girl stared into the face of unimaginable evil and overcame it in Christ. She was not alone in her courage. Our small, close-knit community acted instantly. First responders from our town and those surrounding quickly removed surviving children and staff members from the scene. Connecticut state troopers have tended to our families around the clock, surrounding us with protection and compassion. Neighbors, religious communities, townspeople, and professionals are providing the care and love that we are so in need of now. We see this movement grow daily with acts of love and kindness pouring in from around the country and the world. We see how evil is defeated. speak, yet she touched the lives of so many around her: teachers, therapists, friends, neighbors, all loved and cherished her. Joey was social and affectionate; she smiled, she loved hugs, and she even had a wonderful sense of humor. Her spirit was indomitable. She participated in rigorous therapy and treatment on a daily basis without complaint. She loved to play with her Barbie dolls, iPad, and computer, swim, swing, and be anywhere her sisters were. Josephine loved the color purple. Born in Maryland, she grew up in a family of Ravens fans and developed an affinity for all things purple. She rarely left the house without wearing something purple. After her passing, many friends who visited wore purple clothing to honor her. On Saturday a family friend tied purple balloons on the mailboxes on our street, and on Sunday the neighborhood children and her sisters and cousins released purple balloons with written messages of love to her in heaven. We will not let this tragedy define her life. Instead, we will honor her inspiring and generous spirit. We have established Joey’s Fund in her name through the Doug Flutie, Jr. Foundation for Autism. The proceeds of this fund will help families raising autistic children. It’s our way of dealing with this pain and never letting go of her love. Many people have reached out to us asking to provide help or support. We ask that, if you are able, please contribute to Joey's Fund, and if you are so inclined, please wear purple on Saturday. Specify “In Memory of Josephine Gay” on the check.